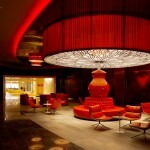 REVEL RESORT: NEED AN ESCAPADE? Atlantic City’s Monolithic Resort Celebrates Day and Night. At the northern tip of Atlantic City is a towering, mystical edifice that jets up from the boardwalk like a Hyperion tree made of steel and mirrored glass windows — it’s a grand behemoth. The interior houses a play land, filled with excitement, luxury and temptation. Before you cast the dice and toss aspersions on AC, let’s take a closer look at one of their stellar resorts. Sprawling over 20 acres, Revel Resort is a sight to behold – it’s home to 13 restaurants, multiple lounges, a health club, indoor/outdoor swimming pool, nightclubs, a shopping mall, a spa, two theaters including Ovation Hall (a 5,500 seat arena)… oh, and also a casino. All this is showcased beneath 1,400 exquisitely appointed rooms and suites, each with ocean views. It’s about as close to Oz as I’ve gotten so far. It’s not the eighth wonder of the world but a wonder, nonetheless. You can take a quick elevator up to check in, however the two-story escalator ride is worth the vista from the casino floor to the reception desk. The plaza is so expansive that it took me several minutes to get from the entrance to the lobby, an awe-inspiring walk simply by the size of everything (Europeans might faint at the square footage in the bathrooms alone). I was thinking the grandiose scale of the structure is more apt for Saudi Arabia than the Garden State, it’s foreign yet oddly welcoming and impressive. The hotel rooms are sleek and contemporary with stark white walls complimented by handsome wood veneers, tufted fabric headboards and taupe striped carpeting under a plush king or queen-sized bed. Guests have access to the latest technology including a state-of-the-art flat screen TV, music, WiFi, Rheostat lighting, and temperature settings through one remote control. It’s somewhat frivolous, in my opinion, compared to the floor-to-ceiling windows with breathtaking views of the Atlantic Ocean. The baths are ultramodern with mocha veined travertine floors, double sinks, a large walk-in shower and adjustable ambient lighting. Naturally, the big draw to AC is the gaming and Revel has all of the tables, cards, wheels, slots and tournaments, however, what sets this resort/casino apart is the selection of restaurants and entertainment. Another incredible aspect of the property is the indoor/outdoor swimming pool. There’s a passageway for guests to submerge themselves from the interior to the exterior of the building without drying off. 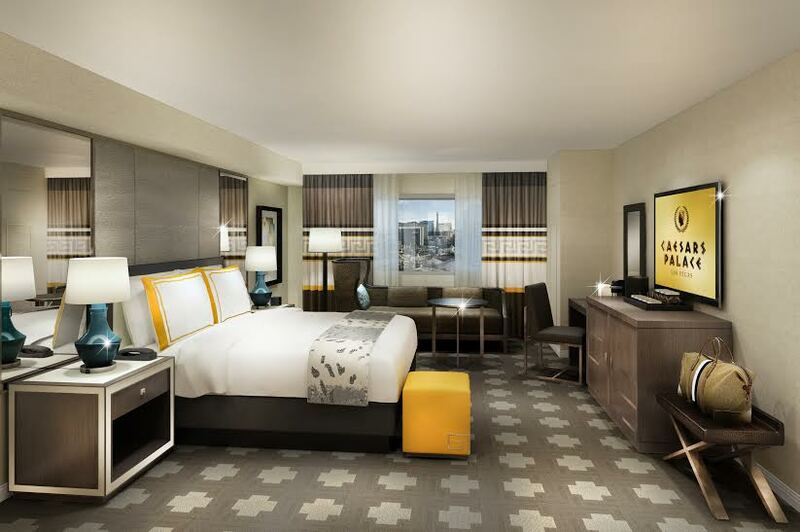 While the key to casinos is keeping the visitor alert and gambling, Revel throws a different spin on the traditional model by offering a plethora of spaces to lounge around and get access to free Wifi without ‘pulling the one-armed bandit.’ Furthermore, the mall is hot, haute and hip. There are three premium dining options: Celebrity Chef Jose Garces’ Spanish and Latin America influenced Amada, Iron chef Marc Forgione’s steakhouse American Cut and Azure by Allegretti, a new twist on Mediterranean cuisine. There is also casual dining at Alcove, Lugo Italian, Mussel Bar and Grill, SkyCafe and Village Whiskey. The latter offers an array of signature whiskey cocktails, hearty pub food and live music on several nights. For a quick bite in the morning or late night cravings your choices include: Corso Coffee, Distrito Cantina (modern Mexican food), Luke’s Kitchen and Marketplace, Relish (a deli) and Yuboka (dim sum and Asian inspired plates). In short, there is something for every taste and craving — morning, noon and night. The Social is an entertainment venue on the casino floor: Open 24 hours, 7 days a week, it’s like a theater mated with a lounge, you never know what’s going to happen here — comedians, singers, live bands and DJs invade the space randomly. Ask the concierge. For late night clubbing, HQ Nightclub opens their doors on weekends at 10:00 PM. 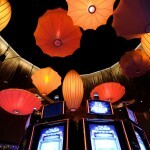 This is home to some of the leading, omnipresent DJs and a dancing crowd of Revel revelers. Beyoncé, Bill Cosby, Whoopie Goldberg among other leading entertainers have performed at Revel’s Ovation Hall. This cavernous theatre houses the top world-class entertainers of today. I asked if you needed an escapade. This is the best place to start East of Los Vegas.